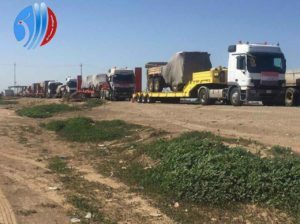 Our team of experts has successfully handled several commercial, military and governmental projects in Iraq, transporting a variety of different commodities from all borders to Iraq worldwide. 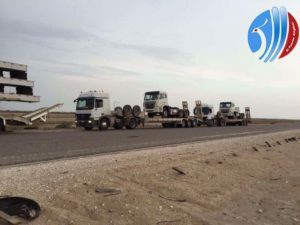 We are proud of the fact that done a lot of big contracts with the Iraqi government and coalition forces, and the United Nations, such as the World Food Program, UNICEF and the World Health Organization and the Food and Agriculture Organization (FAO). 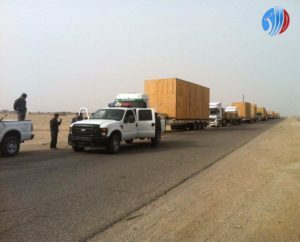 It seems obvious from the above that our company is one of the leading transportation companies in Iraq through the implementation a lot of work contracts for the benefit of all Iraqi ministries and access to the relevant authorities the confidence and good performance in addition to receiving a lot of letters of appreciation and recognition. After the company receive the certification Standard Organization and specifications No. 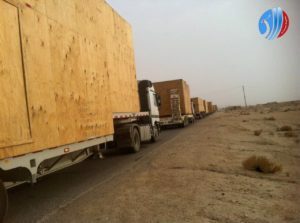 18001, which have international recognition peerless, and aims to develop the requirements for safety and security systems, the company is keen to secure the delivery of goods to the end user.